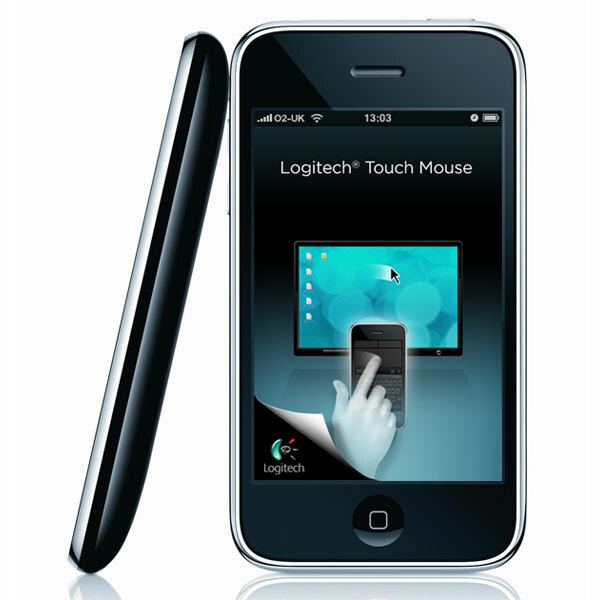 Logitech has released a new application for the Apple iPhone and iPod Touch called Logitech Touch Mouse. The Logitech Touch Mouse iPhone App turns your iPhone or iPod touch into a wireless track-pad and keyboard for your PC or Mac, and it works just like a standard mouse, and keyboard you can point, scroll, click and type from a distance. Touch Mouse works over Wi-Fi, so you can use it anywhere in the house. And to make typing easier, text is displayed on the screen of your iPhone or iPod touch as you type, so you can see what you’re doing without having to continually look up and down. This could be useful for your HTPC so you can control everything from your sofa with your iPhone or iPod Touch. The Logitech Touch Mouse iPhone App is available as a free download from iTunes.